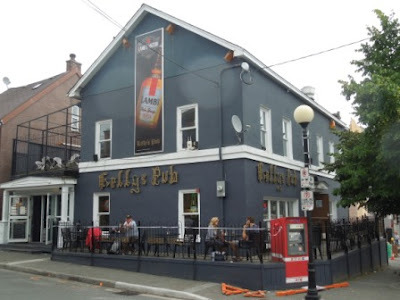 Kelly’s Pub, located on the corner of George and Adelaide Street, is one of the most popular pubs on the strip. It’s a simply decorated, homey Irish Newfoundland pub known for its live performers such as Blackie O’Leary. There is ample seating throughout the space as well as seating for about 20-25 on Kelly’s front patio which wraps around the corner lot building for a good view of the bustling area. In addition to this, Kelly’s Pub has a good selection of imported beer’s, plus beers on tap, domestic local favorites, and liquor based coolers as any good George Street pub should.Kelly’s Pub offers buckets of beer for a decent price as well as specialty drinks such as their well known Rubinator, a tasty blend of vodka, peach schnapps and juices over ice. The menu at Kelly’s Pub is pub grub pure and simple, and they do a fine job of it. There is the standard snacks and starters like wings, onion rings, fries, mozza sticks and nachos or you can get a platter of all the appetizers for a crowd to enjoy with those buckets of beer. Main courses feature sandwiches, burgers, BBQ or crispy chicken filets, and fish and chips among other things.These items come with fries, a baked potato or salad if you so choose. Our friendly and outgoing server recommended the fish and chips, saying the cod is always fresh. It is definitely the most popular menu item at Kelly’s hands down, and it’s a contender for the city’s best fish and chips according to some people. My dining companion decided to go for the fish and chips with gravy, and he was not disappointed, the cod was indeed fresh and flavorful, with a crispy golden beer batter. The gravy that accompanied the meal was the perfect french fry gravy, rich and well seasoned without being too salty. The fries at Kelly’s are excellent as well, hand cut and crispy on the outside thanks to the potato skins being left on, the perfect compliment to their main dishes.For my meal I selected their BBQ chicken filet, which is grilled and served on an Italian style bun with lettuce and tomato with mayo and served with a side of fries. The filet was perfectly grilled, nice and juicy with a robust BBQ sauce that doesn’t overpower the chicken and wasn’t slopped on to the point of messiness. The filet itself was substantial enough to be served without the bun and vegetables, a perfect lunch for those craving BBQ any time of year. If you’re looking for a laid back yet lively spot for some pub grub and drinks, Kelly’s Pub is one to try.  It’s casual and unfussy from atmosphere to menu, with a welcoming atmosphere. Staff are very attentive and know the menu well, and genuinely seem to enjoy working there. Definitely a sign of a good pub. Kelly’s Pub is open from 11am-3am seven days a week.